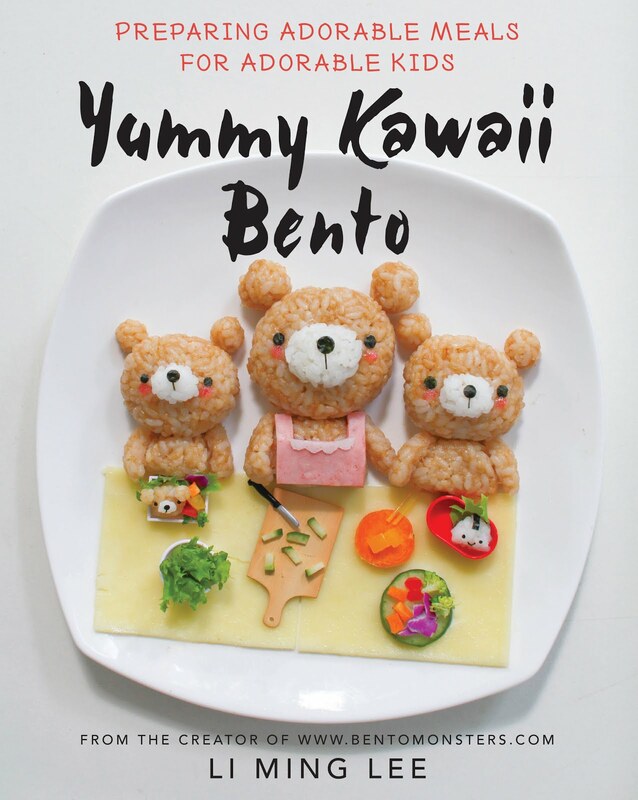 If you have been following me on Instagram, you might have seen my post about my bento book, which is coming out on 1 September 2015. My book is now available for pre-order. I've updated a list of links on where you can pre-order the book here. In the post, I've also included a brief about my book writing journey, as well as some sample pages from the book. If you are just looking for the links to order, you can skip what I wrote (It's brief for me but might be a little lengthy for you) and just scroll to the bottom of the post for the links. 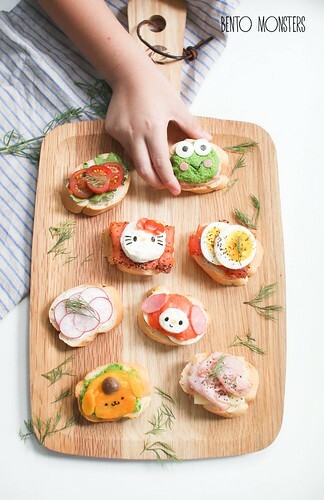 Open-faced sandwiches I made to share with my boys for afternoon snacks during the June school holidays. I used baguette to make these, I sliced and toasted the baguette before topping them with assorted fillings like smoked salmon, lettuce, cheese, ham, eggs, etc. Can you spot 4 Sanrio characters in there? The four Sanrio characters are Hello Kitty, Keroppi, Pom Pom Purin and My Melody. 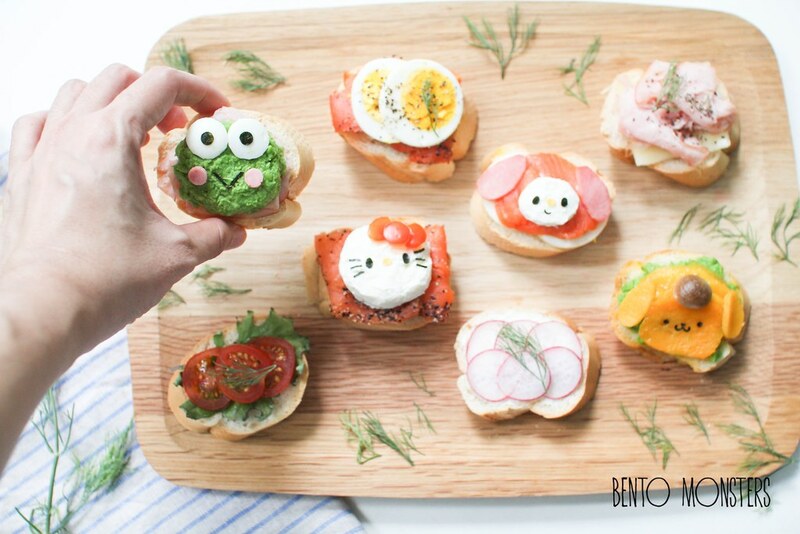 I used cream cheese, tomato, cheese and nori for Hello Kitty. 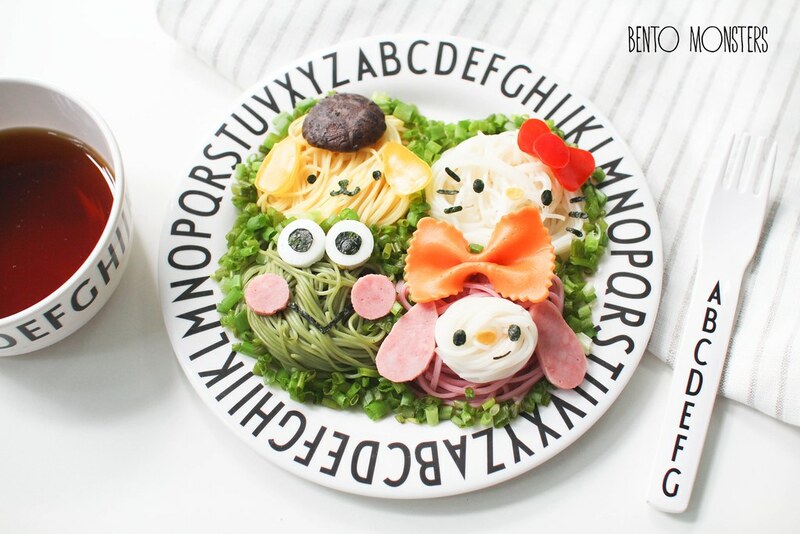 For Melody, I used smoke salmon, cream cheese, cheese, ham and nori. Ingredients used for Pom Pom Purin were mango, mushroom and nori. 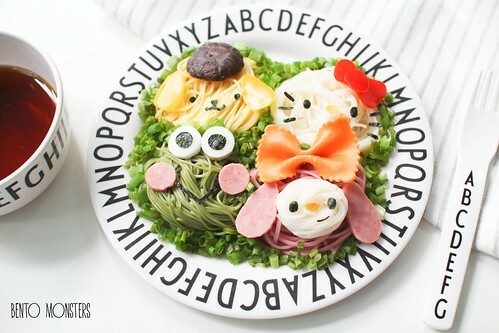 Keroppi was made using mashed peas, cheese, nori and ham. Another version of the four Sanrio characters, this time using coloured somen. I did not colour them, they are available for sale in different colours. 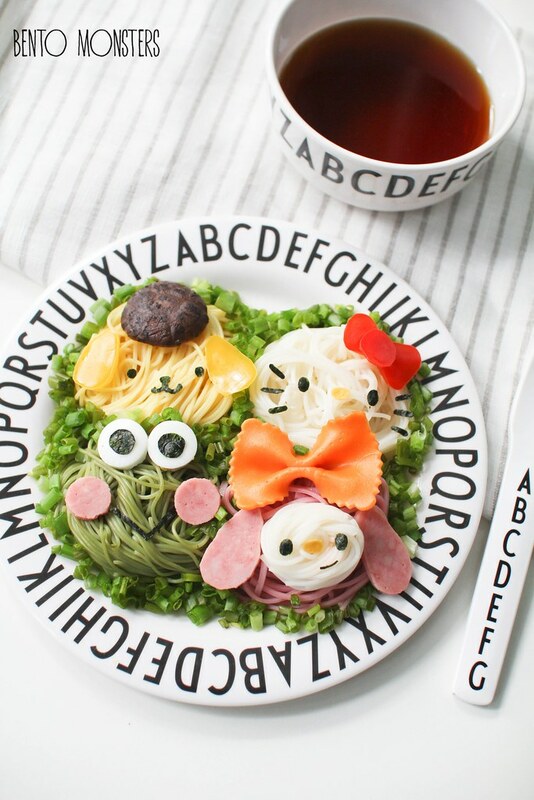 Ingredients used in the food art, other than the noodles were, cheese, capsicum, nori, ham, mushroom and bow pasta. These noodles were served cold with a dipping sauce, quite refreshing to eat these during the hot weather. Congrats once again on your book! Wow! 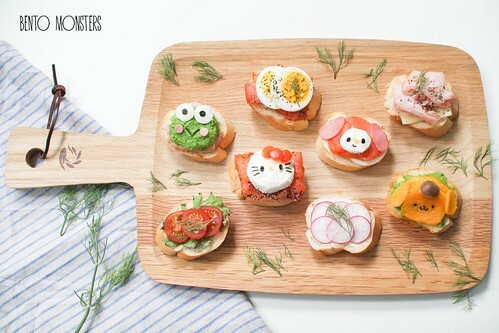 Undecided which to eat first coz ALL super cute & yummy! Love them all! They are way too cute!